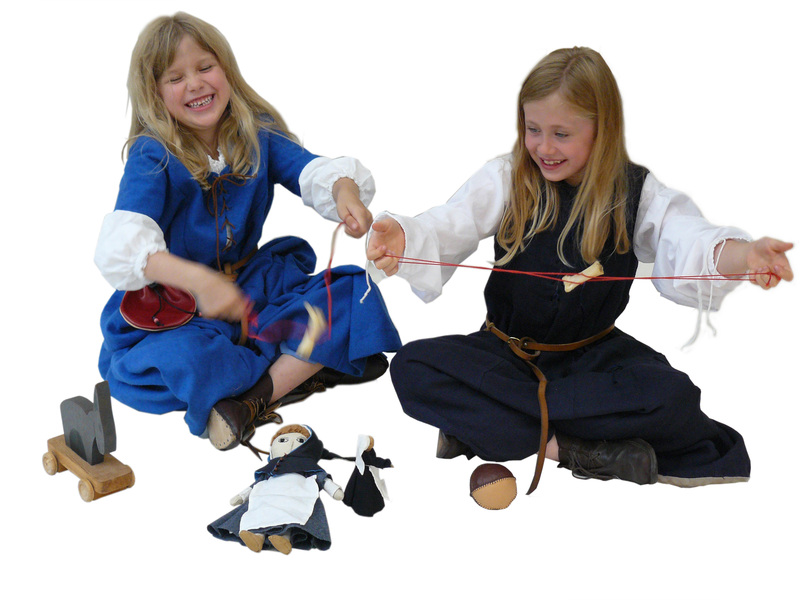 People love toys & games and medieval games are no exception. Many of the medieval games are no longer played or not commonly played anymore and are therefore of particular interest to the public. In this display adults and children alike are encouraged to learn about and play with our vast array of medieval toys and games. 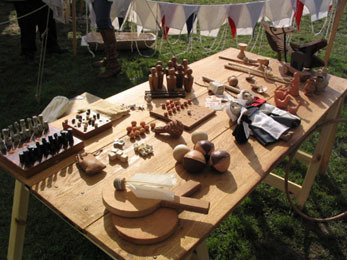 From dolls to medieval chess there are items to occupy all ages and abilities. This display is run for passing trade throughout the day. 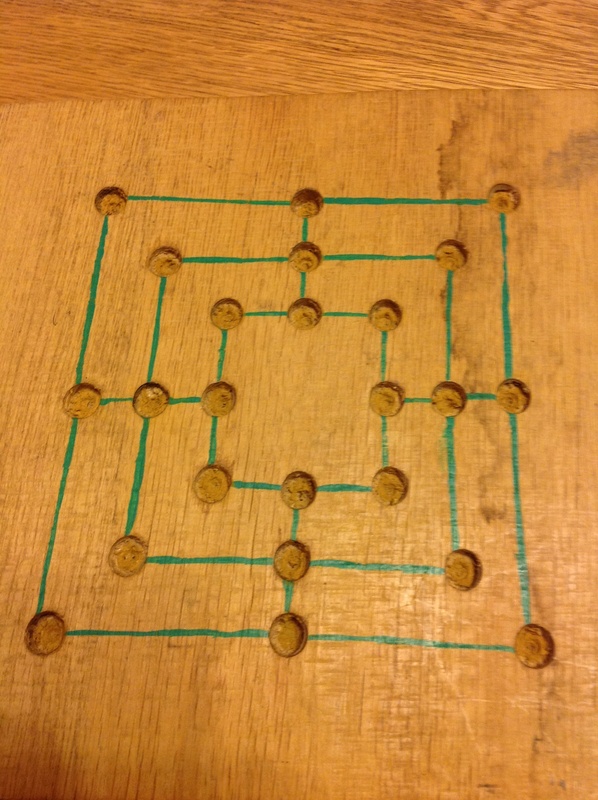 Games include the following: Merelles (9 mens morris), fox & geese (Once the favourite game of Edward IV), dice, knucklebones (used like jacks but made from sheeps knucklebones) and house of fortune. We even have a replica 13thC chess set and can show visitors how to play a medieval chess variant on a circular board. There are also superb replica medieval playing cards for them to play with, we even know a couple of the games they would have played. For centuries people thought that medieval childhood might not have been a fun time but thinking has changed in recent years and our set of medieval toys certainly proves this. 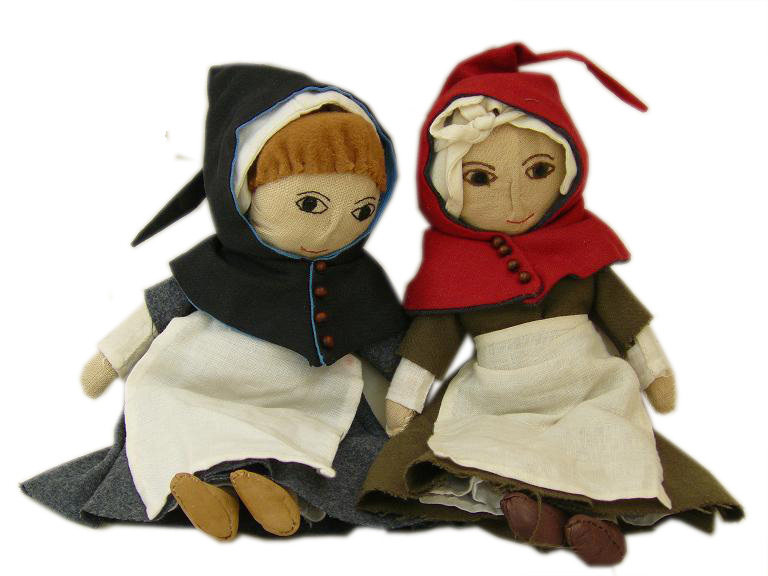 Medieval toys include: dolls, leather & wooden balls, hobby horses, whipping tops, spinning tops, miniature pots (similar to the miniature tea sets we play with now! ), pottery figures & animals, toys on wheels, rattles, clay marbles, whistles, stick & hoop and diablo. Pewter toys were also incredibly popular in medieval times, particularly in England. Our pewter replicas include a bird with a moving tongue (original in the Museum of London), miniature pewter jug and a whistle in the shape of a head. Boys may of had toy knights and cannon (not much changes!). Drag those children away from their games consoles and back to a more traditional form of play. Many parents are often surprised how long their children will spend playing a simple game of marbles or skittles!